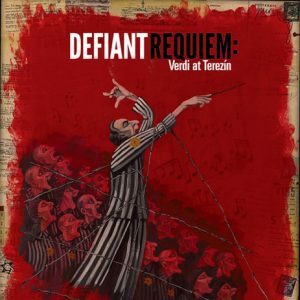 Defiant Requiem: Tomorrow and Saturday! On Friday and Saturday of this weekend, guest conductor Murry Sidlin will lead the UW Chamber Singers, University Chorale, Symphony Tacoma Voices, members of the Seattle Jewish Chorale, and the UW Symphony Orchestra in a unique version of the Verdi Requiem. 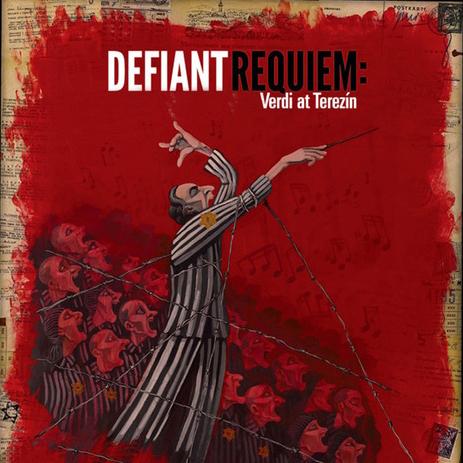 The “Defiant Requiem” tells the poignant story of the Jewish prisoners at Terezín during the Holocaust, a concentration camp where many musicians and artists were kept in oppressive living conditions and eventually deported to Auschwitz and other death camps. Imprisoned conductor Rafael Schächter taught the music to over 100 singers entirely by ear from a single piano-vocal score, giving voice to the plea for deliverance that the prisoners were not able to communicate to the outside world. Mr. Sidlin conducts the Defiant Requiem all over the world in order to honor the memory of the prisoners who persevered through Verdi’s powerful music. The performance includes video footage of Terezín survivors, spoken monologues by actors, snippets of music heard at Terezín, and a discordant piano that brings the audience back to Schächter’s world. Through this lens, the choirs and orchestra can present a work with Catholic text as a universal message about suffering and courage. This entry was posted in Chamber Singers, Collaboration, Concert, Event, Guest Artists, UW Chorale on June 1, 2017 by sriskind. This time I am a little bit far away to attend but I will be attending this concert on 3 June. I’m already curious about it already. Very good thanks.